The OHA Annual Meeting offers a premier opportunity to gain valuable insight about statewide industry trends, network with your peers and achieve a better understanding of the health care issues and policies most likely to impact your organizations. The three-day event features more than 80 educational sessions, keynote presentations by national speakers and special recognition events. Continuing education credits are offered for many disciplines at no cost to hospital employees, including a track offering American College of Healthcare Executives Face-to-Face credits. Registration is free for employees of OHA member hospitals and corporate partners. 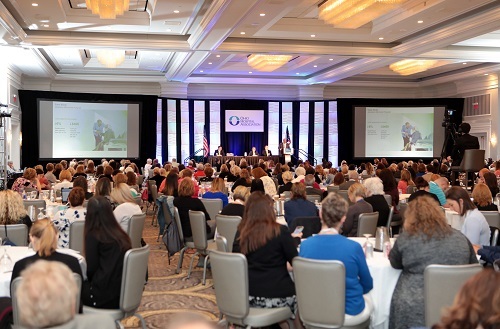 The 2019 OHA Annual Meeting & Quality Summit is June 3-5. See the full schedule of education sessions and special events here. Conveniently located in central Ohio at the Hilton Columbus at Easton Town Center, the OHA Annual Meeting is held in a unique setting with more than 200 shopping, dining and entertainment venues for attendees to explore. Annual Meeting exhibit and sponsorship opportunities are reserved for OHA Corporate Partners. As a corporate partner, you can reserve an exhibit space for the event and have the opportunity to sponsor a track, special event or luncheon. Please contact Cliff Lehman with questions.